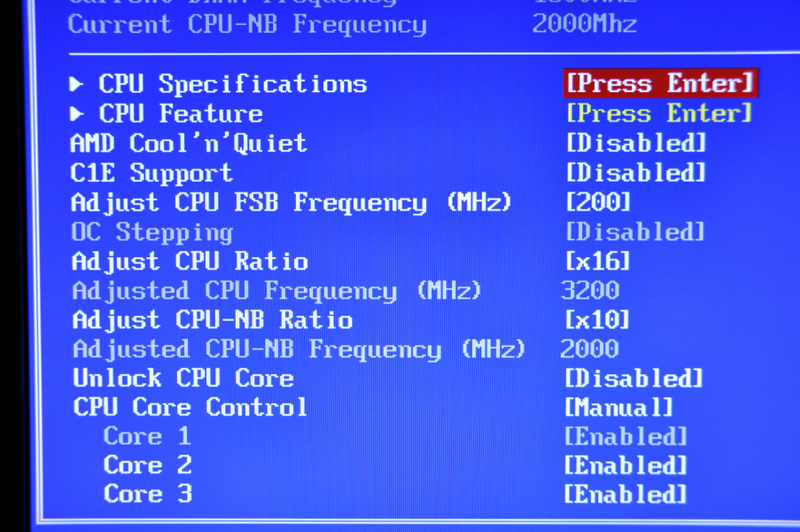 Purpose: When you can't disable the hardware Cool 'n' Quiet (CnQ) on the Phenom II Hexacore CPU's, and you can't overclock into Windows at 4.0GHz - 4.2GHz stable (I personally could never get into Windows stable at 4.2GHz with the MSI 890FXA-GD70 and ASUS M4A87TD/USB3 motherboards - I've even had trouble getting into 4.0GHz stable with the MSI 890FXA-GD70 at times). When you can't disable CnQ, you'll notice throttling occurring (Core Speed fluctuates, along with Core Voltages). I believe this "throttling" is what's causing instability when logging into Windows at high overclocks and voltages on some AM3 motherboards. 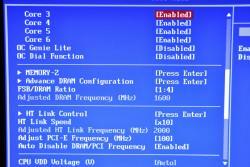 Enter into your BIOS and configure your settings. When you log into Windows, you should be stable since you're logging in with default voltages, multiplier, FSB, and RAM timings. 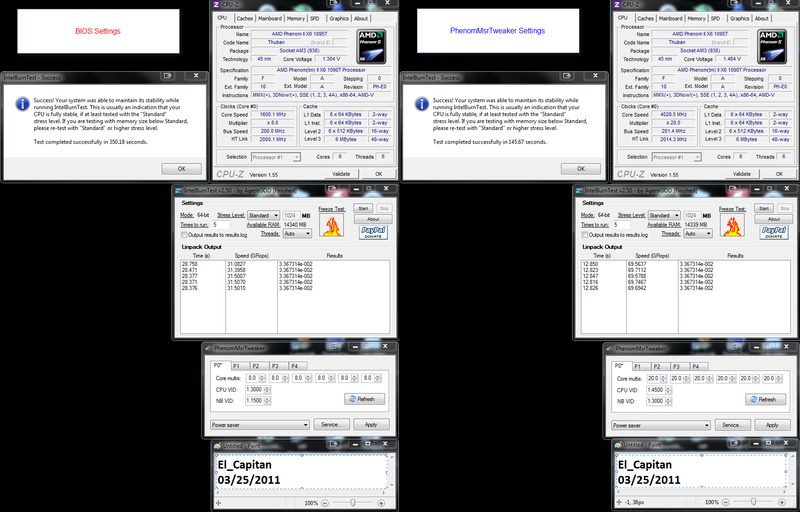 Install and launch PhenomMsrTweaker, you'll notice each P0/P1/P2/P3/P4 tab will have different Core multis, CPU VID, and NB VID. P0 being the maximum performance state, and P3 being the most power-saving state, and P4 I'm not too sure what that state is. 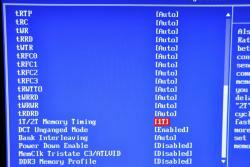 What you see with the asterik (*) is what setting the CPU state is currently at. Notice my Core Speed is at 1.6GHz when it should be 3.2GHz by default. That's because hardware CnQ isn't being disabled inside the CPU, even though the BIOS settings we changed earlier was supposed to disable it. When you change each Core multis, CPU VID, and NB VID in each P0/P1/P2/P3/P4 tab to be identical, that means each state will always be the same no matter what. 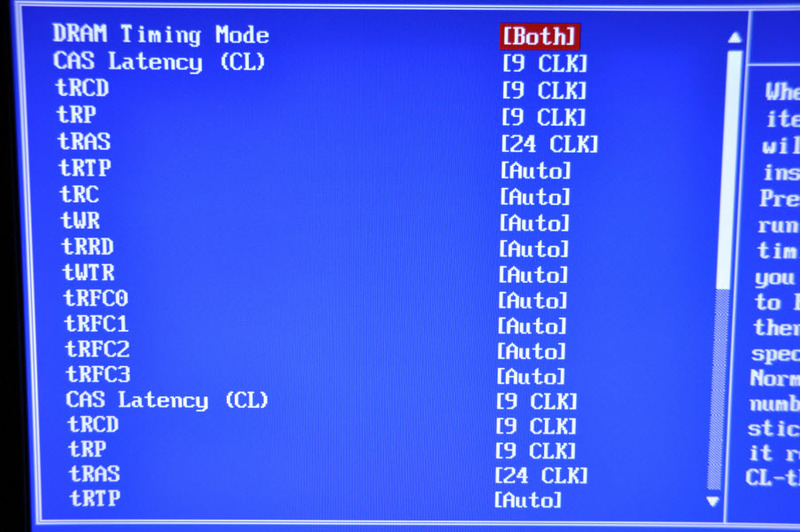 Perform a full round of Prime95 Blend tests to ensure stability, and 5 runs of IntelBurnTest to ensure throttling doesn't occur. 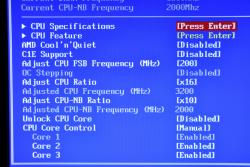 Keep an eye on what your Core Voltage spikes up to in CPU-Z, and monitor your core temps. Notice the GFlops difference between the default CnQ and the changed CnQ stable at 4.0GHz. Important! 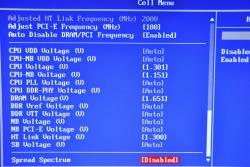 Some motherboards with PhenomMsrTweaker react more like an Offset voltage than Manual voltage. So if you're at CPU VID 1.45v and you're hitting 1.52v or higher (even seeing 1.6v), then it's acting like Offset voltage. You'll need to tweak around a bit more so that the voltages doesn't spike that high. 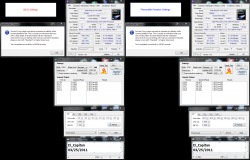 If this is what's occuring, start from CPU VID 1.3v and work your way up or down so that your voltages at 4.0GHz is around 1.46v (min) - 1.51v (max) through CPU-Z..
Once it's stable, you can make sure your overclocks are always applied at start-up by going into PhenomMsrTweaker Services to Update and mark the checkbox to make custom P-state settings permanent, and hitting Apply. 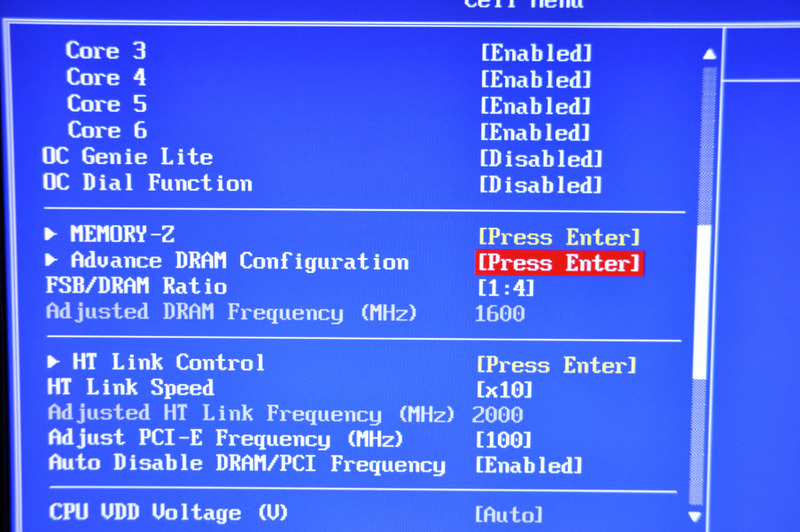 With PhenomMsrTweaker, we managed to "disable" the hardware CnQ that the BIOS couldn't turn off. We essentially set each CPU state to be the same, so whenever there's a difference in CPU usage, if the CPU state changes, it won't matter because they're now all the same. 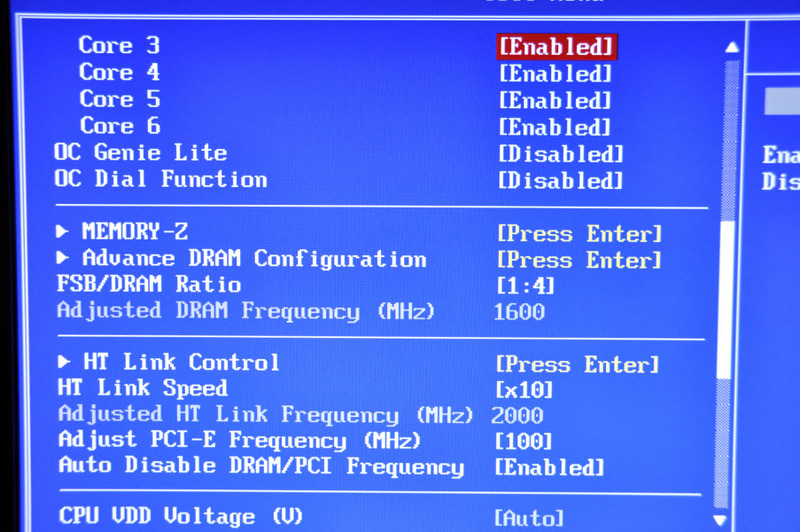 We didn't actually "disable" hardware CnQ, we just tricked it into keeping the same settings for each CPU state. 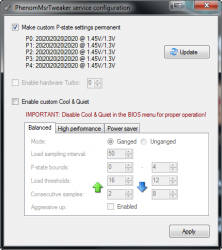 What's cool is that you can also set a custom CnQ for when your CPU usage is idle to low, it's at lower voltages and frequencies so you're not consuming as much power. We can go over that in another Tutorial. Thanks I had the same problem. My CPU is actually always at 0.9Ghz(thanks coolnquiet) then under decent load goes to 3.6 but turbo cores to 4.0. I will try this. Bump for this week's Tutorial (which I wrote weeks ago). Ctrl+D for a thread worth saving! 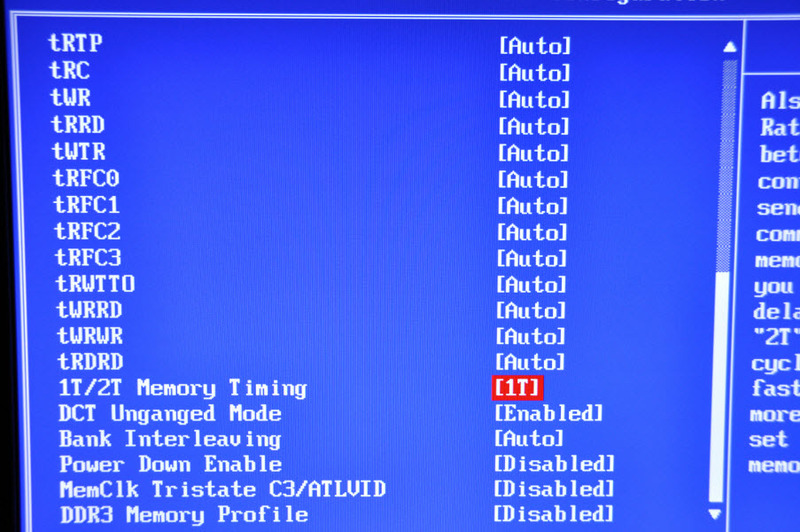 Same CPU & Mobo Im running, cant get any more helpful. & what BIOS version are/were you running at that time? 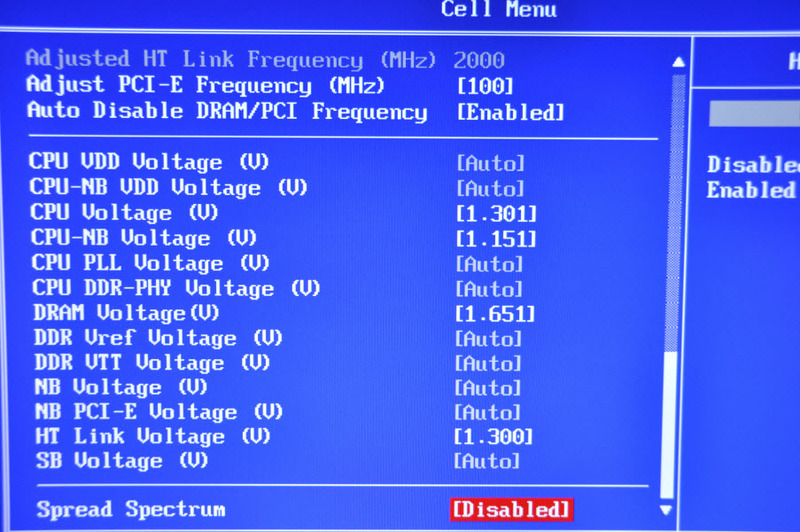 Yes, am using 1600MHz, you can use whatever frequency you're stable with, 1333MHz is fine. The BIOS version doesn't matter, I think it changes a little, but I'm using the latest BIOS version on my MB right now and it still works. Talk about a quick response, 3 minutes on a 6mo old thread? Ive been trying to find a solid list of stock voltages for a little while now, so this is an awesome find. 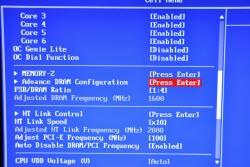 I found after a bios update the OC genie doesnt work & asks to reinstall bios every time, lol. Figured Id ask, incase it may interfere here too. @ Audiophyle - I don't think the PhenomMSRTweaker is related to OC genie not working. It's most likely a BIOS thing. @ Hyper - Yeah, it happens to me on rare occasions (but with 4 sticks of 4GB RAM), too, at 4.2GHz or 4.0GHz. I think it's more the motherboard not able to keep up. Doesn't happen very often, maybe like once a month.